imAndystorm.com. Singapore Lifestyle. Travel. Food. : A Better Florist: I just got "bloomed"! A Better Florist: I just got "bloomed"! Just a couple of months back blogged about sending a bouquet of flowers from Abetterflorist over to my friend's office to congratulate on the new job. 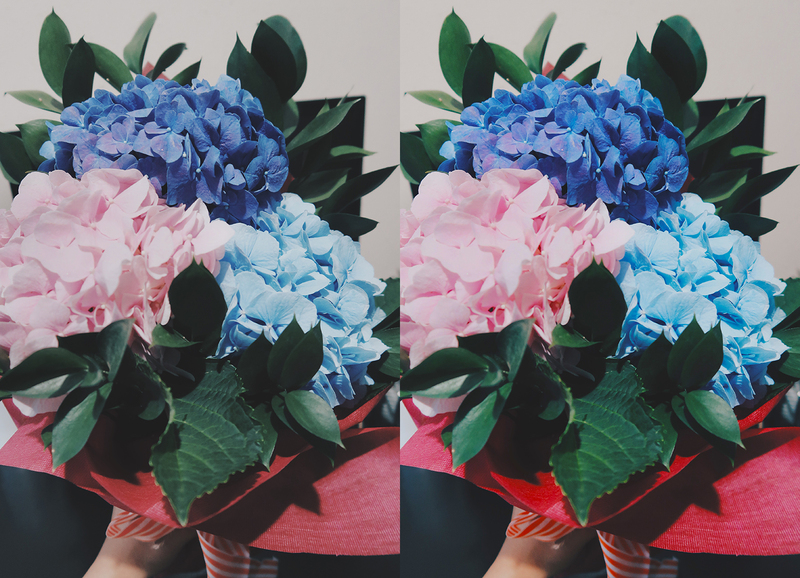 Well, this time i got "bloomed" again by them with the most instagram worthy pastel hydrangeas, not one but THREE different pastel colours in a bouquet. 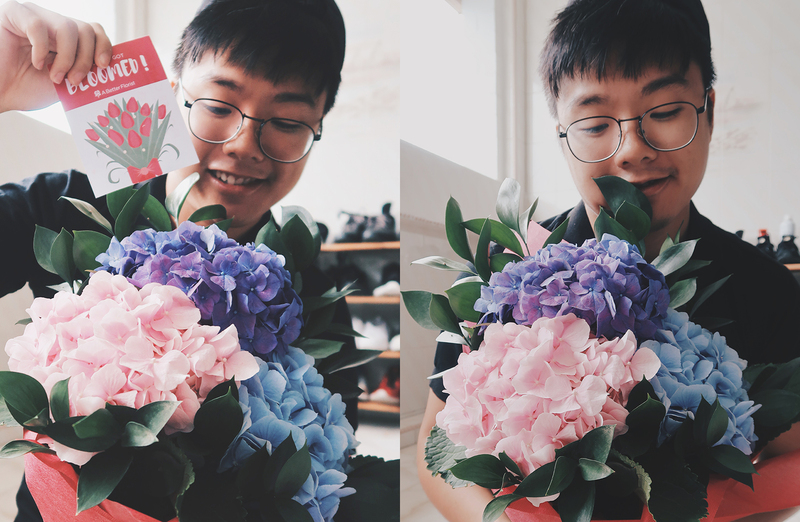 When i reached home, my dad was like, "someone sent you something" In my mind, i was like is it my Lazada buys, or has my EzBuy arrived or is it some PR kit, but my dad simply said, "You go see it for yourself"
What i really like about Abetterflorist is that all their bouquets are carefully curated and will definitely bring a smile to anyone who receive their flowers. With a wide range of flowers to choose for different occasions, affordable price and FREE same day delivery, abetterflorist is a saviour to all guys (and maybe some girls). Just order online within a few minutes and have it delivered to your loved ones.